Photoshop can be confusing. It’s a massive program with countless tools and techniques. However, it’s not the advanced stuff that throws most people, but the very basics. As soon as you start using Photoshop, you’ll probably need to use Layers and Layer Masks. If you don’t wrap your head around them, you’ll never be able to get much further. So, let’s take a look at what Layers and Layer Masks are, and how to use them to edit your photos. 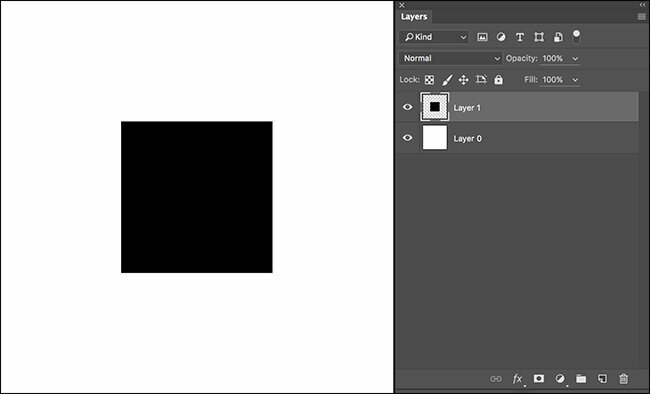 Photoshop is built on the idea of layers and the layer stack. Everything you do in Photoshop takes place on a layer. All the layers in a document are arranged one on top of the other. Whatever is on the layer at the top of the stack appears above the content on all the Layers below. The easiest way to think of it is to imagine you’re a kid again making a collage in school. You start with a white background sheet, cut some pictures out from a magazine and stick them to the page. Maybe you grab a marker and add write something on top. All your materials are physically layered. You can take a picture from the bottom of the pile and move it to the top. Or you can take something from the top and move it to the background. The only difference with Photoshop, obviously, is that the layers are digital. Layers are surprisingly simple once you’ve grasped the basic concept. Let’s move away from metaphors and look at an actual Photoshop document. The new document in the image above has only the single white-filled layer Photoshop adds to all new documents. To add a new layer to your documents at any time, click the New Layer button or use the keyboard shortcut Control-Shift-N (Command-Shift-N on a Mac). I’ve added a second layer to the example document; this time it’s a black square. In Photoshop, each layer works independently. What gets saved out as the final image is the sum total of all the layers working together. The little eyeball next to each layer controls whether or not it’s visible. To turn a layer on or off, click on the eyeball. In the image below, I’ve turned off Layer 0, the white background. The checkerboard pattern is Photoshop’s way of showing that an area is completely empty. The white layer is filled with white pixels so, although it might look blank, it really isn’t. Other than the black square, there is nothing else on the second layer. If you were to export this as an image that supports transparency–like a PNG–the checkerboard area would be transparent. I’ve added a pink circle on a third layer. It’s at the top of the layer stack, so it appears above the black square and the white background. When I move it below the black square’s layer, it gets covered by the content on the layer above. Whatever layer is on top is going to appear on top, even if it covers up things below. 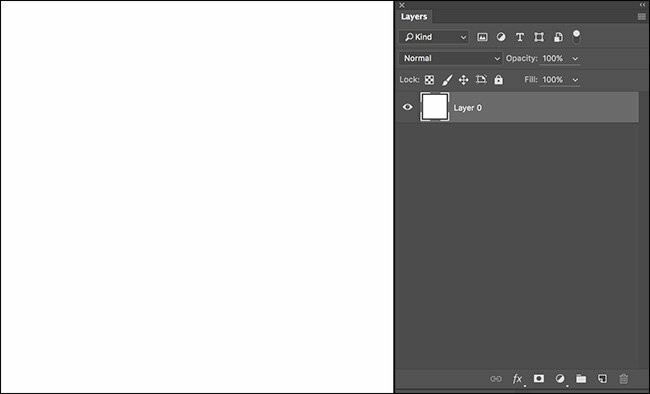 To move a layer to a different position in the stack, Click and Drag it around the Layer Panel. Layers aren’t always fully visible or completely switched off; they can also have some transparency. 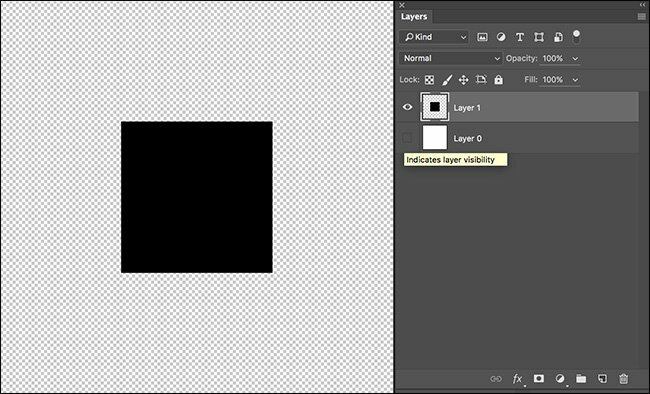 In Photoshop, you can set the Layer Opacity to anywhere between 0% and 100%. Its visibility will be reduced to that amount. In the example below, the pink circle layer is set to an Opacity of 0%, 25%, 50%, 75%, and 100%. 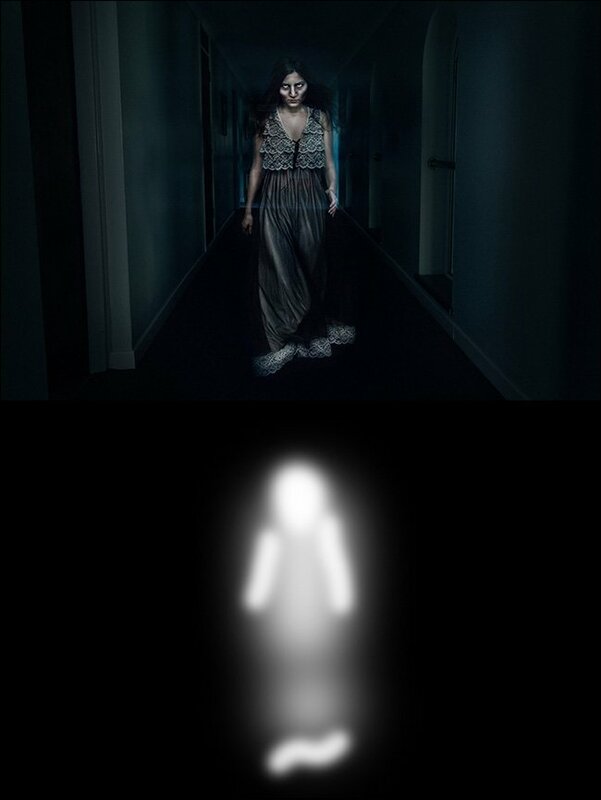 Look at how the image changes with the layer’s opacity. Photoshop combines all the information from the visible layers to get the final result. At 50% opacity, it’s taking information from both the pink circle and black square layers. To adjust the opacity of a layer, enter a value of between 0 and 100 for the Opacity or Click and Drag on the number to use a slider to set it. Layers on their own can’t do much. It’s rare that you want to just place things on top of each other in Photoshop. Normally, you want to combine different parts of different layers to create the final image. This is where Layer Masks come in. A layer mask selectively controls the visibility of the different areas of each layer. Each layer mask only affects the layer it’s attached to. Areas of the layer mask that are black conceal the respective area on the original layer, while areas of the layer mask that are white reveal those areas of the original layer. Just remember “black conceals and white reveals”. 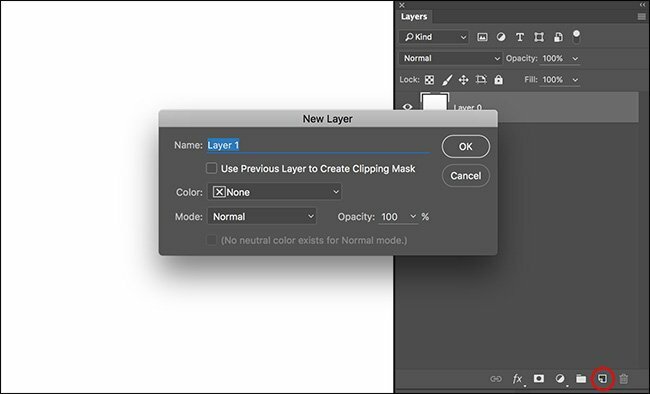 To create a new layer mask, select the layer you want to mask and then click the Add Layer Mask button. By default it will be filled with white. If you want to start with a black layer mask, hold down Alt or Option when you create it. In the image below, I’ve added a new layer mask to the pink circle layer. It’s white, so it doesn’t affect the layer. When mask is black, it conceals the pink circle even though the layer is still on. The real power of layer masks is that they let you control different areas independently. In the example below, I’ve added a white square to the layer mask. Only the area of the pink circle that intersects with square is visible in the image. It looks like there are two square layers rather than a square and a circle. Masks can also be used to add transparency. You don’t have to just use black and white, you can also use gray—the layer’s opacity will be reduced by that amount. I’ve added a 50% gray square around the edge of the white square to the layer mask. The image now looks like there’s a pink square, surrounded by a dark pink circle, sitting in a black square. This is a bit of an abstract example, but it can be really useful in photos. For example, you can use layer masks to remove the background of a photo completely, which is very cool. 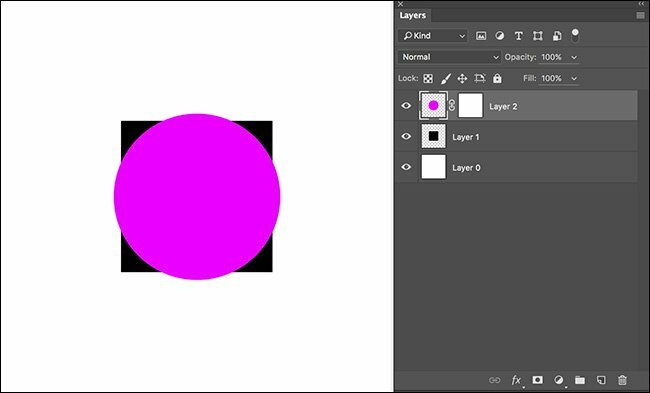 You can work on a layer mask with any of the regular Photoshop tools. The only difference is that layer masks are grayscale, so you can’t add colors. To modify a layer mask, select it. You’re then free to add black, white, or any shade of gray with the tool of your choice. Photographers do a lot of work with the Brush tool, while in this article, I’ve used the Marquee tool to create all my masks. To leave a layer on while turning the layer mask off, right click on the mask and select Disable Layer Mask. You can also select Delete Layer Mask to get rid of it entirely. Masks are one of the most important tools in Photoshop. You’ll use them in every project. Below, you can see a mask from one of my own images. I’m using it to selectively brighten the model, while keeping the background dark. It was painted with the Brush tool.